Splunk is one of the leading producers of business data intelligence, enterprise security, and behaviour analytics solutions. The market leading software platform for operational intelligence takes care of central identification of IT data such as log files, configurations and corporate data, and it can run its searches across systems. 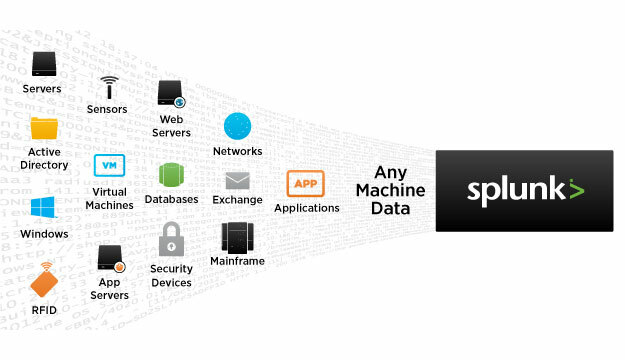 Solutions by Splunk transform machine-generated data in valuable insights, which make your company more productive, profitable, and secure. Precious operational intelligence is extracted from your data files by means of monitoring and analysis of click-stream data, client transactions, security events, and network activities. Data are connected to one another, and supplemented with already available information and knowledge. In this way threats can be rapidly detected, surrounded, and reacted upon. The results of all search queries and analyses are displayed in easily understood graphics, and are available in real time or for future evaluations, monitoring and alarm-generation. The full palette of Splunk Enterprise’s products offers performant search, analysis and display functions, which can be tailored to classes of users. Splunk is available as software, or as cloud-based SaaS. Independent market research firms such as Gartner, IDC or Forrester have repeatedly voted the solution as leader in the field of Security Analytics. Long-term cooperation with Splunk and a broad customer base. InfoGuard has highly qualified security specialists with the comprehensive knowledge in the field of machine learning.